Not all cross trainers are created equal. Cross training refers to using a variety of tools and techniques to improve overall results. Cross trainers are generally non-impact machines—sometimes called “ellipticals”—which refers to a specific motion. 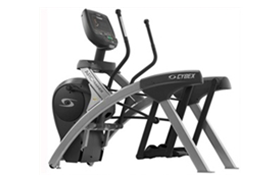 All ellipticals are cross trainers but not all cross trainers are ellipticals.